Who We Are — The Valente Project, Ltd.
Anna Valente McCrady, or "Valente" to her friends and family, loved dinosaurs, space, and everything else at the American Museum of Natural History. On one of her many visits to the Hayden Planetarium, she was nearly asked to leave when unable to contain her excitement. 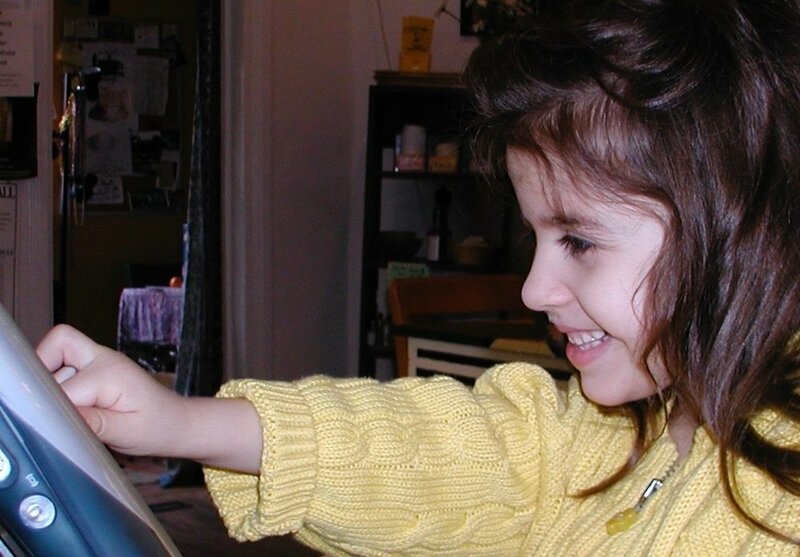 In 2004, at the tender age of seven, Valente died quietly in her sleep from complications of epilepsy. 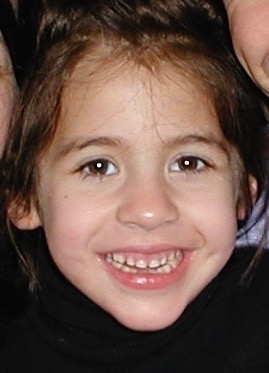 A dozen years later, her parents Tucker McCrady and Dr. Laura Guerra joined forces with astronomer Dr. Emily Rice and attorney Ashley LeBlanc to form The Valente Project in her memory. Valente would have loved the work that the Project is doing, and we hope that you will too. The Valente Project has no employees or overhead expenses; all administrative and office functions are handled by volunteers, and administrative expenses are donated. As a result, every penny that the Project receives goes directly to paying the third-party designers, developers and other consultants working with the Project to bring our visions to life. Tucker McCrady, President, serves as the general counsel to The Orchard, a Sony Music subsidiary that distributes over 10,000 independent record labels and independent films. He holds an undergraduate degree in philosophy from Harvard, and is a graduate of both the Juilliard Drama Department and Columbia Law. Before returning to law school, he worked as a professional actor in everything from Shakespeare and Chekhov plays to modern comedies and musicals, including as Mordred in the 1992 Broadway revival of Camelot. An avid amateur astronomer and unpublished science fiction author, McCrady believes passionately in the transformative power of science and storytelling to bring awe and humility into our lives. Dr. Emily Rice, Vice President, is a research associate in the Department of Astrophysics at the American Museum of Natural History, and an assistant professor in the Department of Engineering Science & Physics at the College of Staten Island, as well as a member of CUNY Astronomy. Her doctorate is from the Division of Astronomy and Astrophysics at UCLA. Dr. Rice studies very-low-mass stars, brown dwarfs and exoplanets, including some of the youngest and closest objects beyond the Solar System, with a particular interest in how atmospheric properties affect the spectra of brown dwarfs. In addition to her teaching and research, Dr. Rice works to increase public understanding of and appreciation for astronomy, and science in general. In the past, she served as the astrophysics content adviser for Science Bulletins, and created content for the Cosmic Discoveries iPhone App. She currently curates astronomy-related fashion on STARorialist, organizes and hosts public science presentations at bars via Astronomy on Tap, and presents public lectures at the Hayden Planetarium. Ashley LeBlanc, Secretary, is a litigation attorney at Greenberg Traurig, LLP. While studying law at Cornell, LeBlanc served as the managing editor of the International Law Journal, and president of the Women’s Law Coalition. LeBlanc was one of the first and strongest advocates of the Valente Project, and has been involved since its inception. Brian Levine is the manager of the Lang Science Program, a 7-year extracurricular science research and immersion program for 6th - 12th grade students in the Education Department at the American Museum of Natural History. Levine hails from Brooklyn, went to the Bronx High School of Science, and studied Astrophysics at Stony Brook. A dedicated science educator, Levine is a frequent Astronomy Live presenter at the Hayden Planetarium, as well as a regular participant in and facilitator for the museum’s public SciCafe events. Levine helps to run the Astronomy on Tap series with Emily Rice, and can often be spotted at other Astronomy outreach events around the New York City. Dr. Laura Guerra is an adjunct professor at New York University and Teachers College, Columbia University. Previously she taught Biostatistics and Epidemiology at Hofstra University, as a special visiting assistant professor. Dr. Guerra also works on federally funded grant projects providing measurement and evaluation services to communities and school districts. She holds a doctorate in health education from Teachers College, Columbia University, as well as masters degrees in international finance, nutrition and applied statistics. Dr. Katherine Roberts is an adjunct professor at Teachers College, Columbia University where she teaches future K-12 educators. She also is the president of Interactive Health LLC, an evaluation company with expertise ranging from data management and statistical analysis to feasibility testing and reporting. Dr. Roberts holds a doctorate in education from Columbia University, as well as masters degrees in both public health and science.